This product is available in Snapdeal, Flipkart, Ebay. 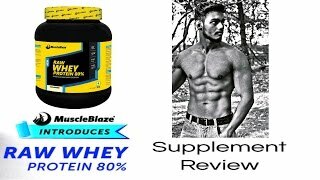 At snapdeal.com you can purchase MuscleBlaze 100% Whey Protein Supplement Powder, 2.2 lb/ 1 kg, 33 Servings (Unflavoured) for only Rs. 1,249, which is 38% less than the cost in Ebay (Rs. 2,000). 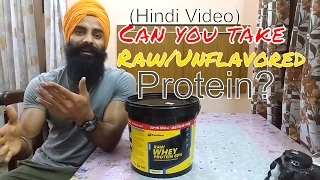 The lowest price of Healthvit Fitness Raw Whey Protein (80 % Raw Protein)- 1kg/2.2lbs (Unflavoured) was obtained on April 19, 2019 4:38 am. Not too bad ! Muscle Blaze needs to correct its pricing unless and untill it is importing raw whey ! Good product or effective and fair price. Its Really Nice !! Worth the money !! Fine results, as expected. Not so great mixability, even with normal water. I have used Healthfit raw whey before which had better mixability but I feel like muscleblaze is giving better results. One thing I liked is they gave a code to verify genuineness of the product on their website and the packing was also good. So they made sure that the product being received is genuine.Things to improve:-Mixability-Give scoop at top of the whey, not somewhere between the whey. I found out that it has scoop after using it for a few days! I was using my old scoop.